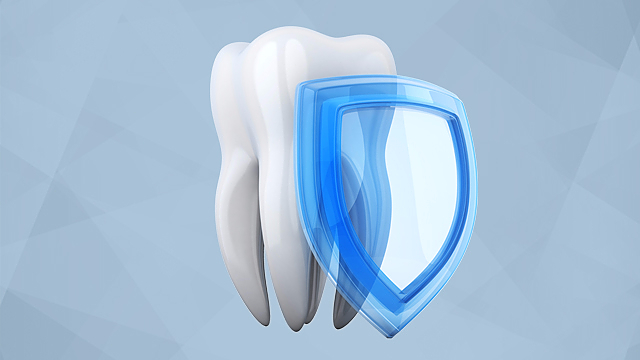 You’ve probably used fluoride varnish in your practice to help treat tooth sensitivity, but did you know it’s also a helpful tool for stopping – and even reversing – tooth decay? Fluoride varnish can be painted onto white spot lesions to blast the area with a high concentration of fluoride, help remineralize the enamel and reverse damage before it can progress. In the latest issue of the ADA Professional Product Review, we’ve evaluated the fluoride release levels of several popular brands of fluoride varnish to help you choose the one that will work best for your patients. Unfortunately, it’s not always possible to catch caries early. That’s where silver diamine fluoride (SDF) comes in. While it can’t reverse the damage, SDF can stop the progression of a cavitated lesion when applied directly to the affected area. You may not be as familiar with SDF. A recent ADA survey of its Clinical Evaluators (ACE) Panel found that only a fraction of dentists are using SDF for dental treatments on a monthly basis. In fact, 78 percent of ACE Panel members surveyed said they had never used SDF. SDF isn’t an ideal solution for everyone because it leaves a black stain on the teeth, but it can be a useful stop-gap for patients with mobility or care access issues, or for patients looking for a non-invasive alternative. If used correctly, both products can bolster your caries treatment plans. Learn more about SDF and fluoride varnish, including common concerns, clinical tips and more in the latest Professional Product Review. ADA Oral Health Topics page. How is it possible for fluoride to “regenerate” enamel when the ameloblasts are no longer present after the eruption of the tooth? Yes it is a fair question. How does enamel regenerate with no blood supply? is there any evidence that fluoride can help with regeneration of enamel?